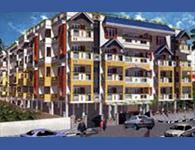 Looking for a property in Padmanabha Nagar? Have a property in Padmanabha Nagar? Padmanabha Nagar is very silent residential location with 6 schools near by, Metro station within a Km, 3 super markets near by, 2 parks inside the layout, Connected to the main road (24 by 7 transportation facility available), Easily approachable to nice road and Mysore road. Padmanabha Nagar, Bangalore is rated 9 out of 10 based on 1 user reviews. Have a good knowledge of Padmanabha Nagar? Share it and become a Locality expert. Abhinand Gardenia Apartments is fully vaastu compliant east facing ready to move in flat.Large living room, huge master br with extra large bathroom & balcony, good size 2nd bedroom with common bathroom. FOR SALE: 4172 sft. Res Site ---- Telecom Layout - Close to Manyata Tech Park.